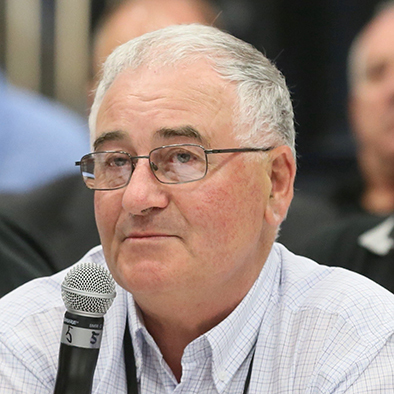 Kel Baxter is the chair of the ATA Industry Technical Council. Based in Berrigan, NSW, Kel runs the same company he started years ago, which now has a fleet of B-doubles and road trains. Kel was an early adventurer in the road train modernisation program for B-triples and AB-triples. In 2009 he donated his own equipment to run the first legal BAB Quad on NSW roads and at a similar ATA demo day at Dubbo in 2010. He has been instrumental in achieving better access for road trains in the Riverina.